A 12cm x 15cm insertion in multiple editions of the Times of India costs quite a packet. For a Regiment to shell out so much money for an officer who commanded the unit 44 years ago, and retired 24 years ago is a testimony of the indelible impression which the man left on the posterity. The words are poignant, and very well chosen. I have never seen such a heartfelt tribute, but that is because, soldiers of his calibre are rare, to say the very least. When I searched my heart more carefully, I discovered that Gen Hanut was more than a soldier. He was a man of God. The Christians have given us several attributes of godly men, and this man measures up to every parameter, more than fully. I served under the general for only one year; in 1982-83. However to maintain the chronological sequence, this piece must begin at the start of his military service. 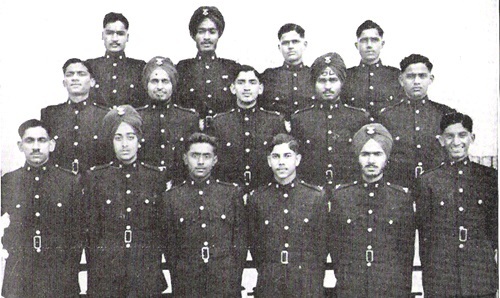 Gen Hanut was an illustrious member of the First JSW course, which commenced in January 1949. Lt Gen Harbhajan Singh, a former Signal Officer-in-Chief has done yeomen service to his course by creating a blog which contains pictures of all the cadets of the ‘First JSW Course’ . This course was unique in many ways. They did not have to go through the UPSC written examination and had no ‘seniors’ at the Academy. Three of them rose to be the Chiefs of the three services and countless numbers rose to become generals, admirals and air marshals. Gen Hanut was in Baker Squadron and is seen at the right extreme in the front row of the picture below. The pen pictures of the cadets have been written be a team of editors, and these were published in a souvenir by the staff of JSW . The lines written about Cadet Hanut Singh have been taken from that Website. I have taken the liberty of correcting an obvious error concerning the home state of Gen Hanut. Whether Hanut got his mature dignity from Rajasthan, which is his home state, or from Col. Brown’s School which is his alma mater is more than we can decide. He deserves the Nobel Prize for Peace, because he tried to maintain harmony among his friends, always and every time. For this noble cause, he has never grudged money or breath or both. An able rider. Hanut was commissioned into 17 Horse, which is better known as the Poona Horse. A great deal has been said and written about this great and famous regiment. It is the only unit which has been awarded two PVCs, one each in 1965 and 1971 wars. 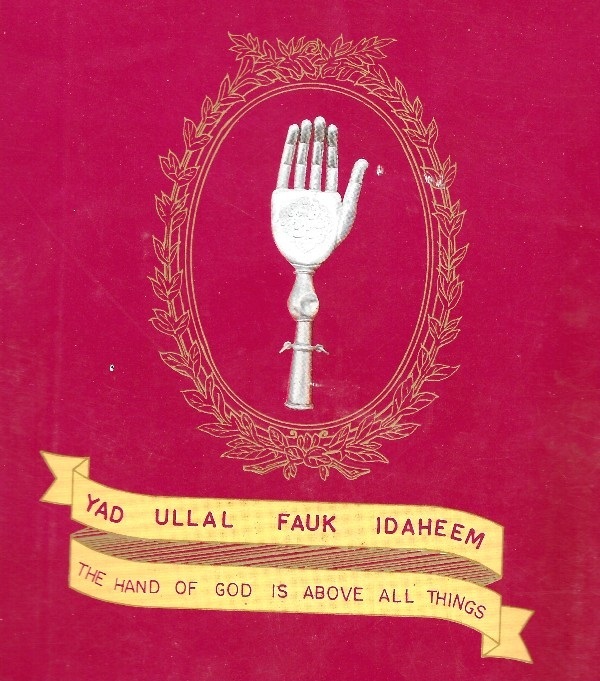 The emblem of this unit is a ‘hand’ which protects and guides its men. For this piece, we press ‘the fast forward’ button and come to May 1982, when he took over as the GOC of the Division in Sikkim. I was commanding the EME Battalion (known as the CEME) and had been there for about six months. His predecessor was Maj Gen (later COAS) VN Sharma, and I intend to write a separate piece on him, to do full justice to his contribution to the ‘Black Cat’ division. All that must be said here is that the change of command led to sea change. We had heard weird things about how Gen Hanut attended office for only a few hours, and spent most of his time in meditation. Socially, he was a recluse, and very little was known to us about his priorities, when he appeared on the scene. After his arrival, social functions reduced to almost zero, and the routine conferences were few and far between. Only those who were required for a discussion were invited to attend. And so it was nearly two months, before I got an opportunity to see him in person. It may have been longer, if it had not been for an urgent piece of work. The selection board for promotion of my second-in-command, Major Krishnan Nair Hari Kumar was preponed, and the army headquarters called for an early Annual Confidential Report (ACR) on his performance. Hari had done an outstanding piece of work, and I was very keen that he got his due. Unfortunately, the GOC had never seen him, and since he spent so little time in his office, I was afraid that his ACR might get delayed in the division headquarters. It took me two days to write a report commensurate with the contribution of the officer to the unit, and after I had checked and re-checked all the enclosures, I mustered the courage to ring up the GOC, with a request to meet him in person to expedite the review. I was pleasantly surprised to be connected to the boss in the very first attempt and after he had heard me out, he asked me whether it would be convenient for me to meet him at three pm, in the afternoon, that same day. Quite naturally, I said yes. As soon as I had put the receiver down, I recalled that the general did not attend office in the afternoons. He rose at an unearthly hour for meditation and after lunch, he rested. So I wondered whether what I had heard was true. But I kept my misgivings to myself. He then asked me about the state of equipment in the formation, specially the aging medium guns. I said there was no cause for concern, except the gun-towers, which had not physically moved the equipment for a long time, and so one was not fully sure of their battle worthiness. He then asked me about the ASC battalion. I told him that it was one of the best run ASC units that I had seen. He queried, “Then why so many accidents?” And I said, “Sir, they consume more than half of the total fuel in the formation. Compared to the running of their vehicles, their proportion of accidents is far lower than the other units” His face lit up, and he asked me a few more questions about the units in the high altitude brigade. I told him whatever I knew. It struck me that he could not have recorded his impression in a more concise manner. Every word was true, relevant and appropriate. And he had taken less than two minutes to complete his job. I saw very little of him during the next few months. Then one day, we received the programme for the annual inspection of our unit by the GOC. Unfortunately, the date given to us was in the middle of my planned annual leave. Therefore, when I sent my leave application, I attached a noting sheet seeking a fresh date for our inspection. The leave application was received the very next day, duly sanctioned, but there was no mention of the fresh date of inspection. I assumed that it would be postponed, and left for my home town. During the three hours which he spent in my battalion, the GOC spoke no more than four sentences. And each word made eminent sense to us. By the time I returned, every single thing which my officers sought from the headquarters had been sanctioned. The next event which merits mention here is. that I was detailed to attend a course on computers in Mhow. On the detailment order, the GOC had specifically said that I must make full use of this opportunity. I took it as his blessing and left, without any qualms or misgivings. Soon after my return, we were told that Gen Hanut had been posted out, after completing only one year in Sikkim. He had been side-stepped to command an armoured division. Some people attributed other reasons for the move, but that was of no consequence to me. In our division, we had a very fine set of officers commanding the div-troops units. MPS Kandal was commander engineers, Manmohan Singh was commander Signals, Jagdish Chander headed the ASC battalion and Mark Surjit Gill was the Ordnance boss. We made a little group of our own, which came to be known as the ‘Fifth Brigade’ The medical units commanded by Cols Kale and Bhatnagar also joined in. We decided to organize a common farewell function for Gen Hanut, and that suited everybody. The event was held in the ASC battalion, and Jagdish rose to the occasion in his characteristic superb manner. I have always considered it to be more than a coincidence that all members of the ‘fifth brigade’ rose to tall levels in the military hierarchy. Those who know these illustrious officers would recall that Jagdish rose to head the ASC; Manmohan was approved for promotion to three star rank, and founded the Army Education Society; Madan Kandal commanded an Infantry Division and Gill became a Brigadier in spite of being a late entrant in the army. A picture of the group would not be out of place here. Incidentally, this picture was taken when colour photography had just arrived in Gangtok, but it is reasonably clear (Unfortunately, Manmohan was away, and so is not seen in this picture). Logically, this story should have ended here. I never met Gen Hanut in the official capacity after that farewell lunch in mid-1983. But, in effect, if it had not been for the post-Sikkim days, I might never have written this piece. A few months after the general had moved to Ambala, I wrote a letter to him, in which I thanked him for what he had done for our unit. In response, I received a hand written note in which he said some kind things, and specifically invited me to visit him in Ambala. He remembered that my parents were from Yamunanagar. And the Lord had other things in mind. From Sikkim, I was posted to the Pay Commission Cell in the army headquarters. During my somewhat long tenure in the adjutant generals’ branch, I was detailed a member of two study groups by the COAS. First, there was a study on ‘Manpower Philosophy’ with Maj Gen OP Bhog as the Chairman, and then there was a study on ‘Career Planning of Officers’ with Lt Gen Sushil Pillai as the Boss. For gathering data and seeking the views of Formation Commanders, we always chose the Formations commanded by Gen Hanut. First, it was the Armoured Division and then the Strike Corps. On all these occasions, Gen Hanut invited me over to the Flagstaff House for ‘a drink’ (which, in his abode was either melon juice or an extract of carrots and citrus fruits). In every case, I was permitted to dip into his world of spirituality. He was averse to talking about people and I noticed that he never spoke about the 1971 war, in which his regiment had won laurels. Finally, I observed that he never spoke about himself. The path on which he seemed to be moving was celestial. From Ambala, General Hanut moved to Ahmednagar (called Nagar) and I was selected to raise the “Simulator Development Division” to design training aids, especially for armoured fighting vehicles and anti-tank missiles. This took me to meet Gen Hanut once again. By the end of his tenure in Nagar as the Commandant of the Armoured Corps Scchool, our bond had become fairly close, and less formal. In a few moments, the general came down from his room upstairs, and sat down. I sat gazing at the scene, trying to figure out something ‘spiritual’ to say. The other alternative was easier. I decided to just wait for the juice to arrive, and then say goodbye. I chose silence, as a safe alternative. At that point of time, I was about to retire from military service, and wanted to pursue writing as a hobby. I wanted to write a biography of Gen Hanut, since many of my friends wanted to know more about his life and work. He was also a bit of an enigma. He had lived life at his terms, broken several service norms, challenged the authority of some of his own bosses, flouted working hours and yet risen in the military hierarchy. Above all, there was a peace on his face, and a ‘silence of desire’ which I have never seen before, or after. I was seeking answers to several questions to join the dots of his character sketch. More specifically, I wanted to know when and why he had chosen to remain celibate. I was also keen to know how he managed to retain equanimity when he was in direct conflict with his immediate superiors. I have seen him holding out his own even when he was in a minority of one. That day, on 26 March 1997, I took out a diary and pen and asked my guru to answer all these questions, in quick succession. The reply left me astonished. Nearly every other elder I have known loves to talk about himself. And they go out of the way to justify their actions. In sharp contrast, here was a man of God, who refused to speak even a few sentences about himself! In due course my own urge and ability to travel declined. Gen Hanut did not get a telephone installed in his Ashram. (In fact, he shunned radio, television and newspapers, because they distracted him) Therefore, my personal contact with him was minimal. But then, a few years ago, I was told that Mr Nripendra Singh who is his nephew, left his cosy job in the USA and joined him. He has been kind enough to give me all the news. He has a phone, and on a few occasions, he facilitated me to speak to the saintly soldier. He also has a computer, and at my suggestion, he showed the blog of the 1st JSW course to him. Gen Hanut liked it immensely, and expressed profound gratitude to Gen Harbhajan for having created it. I was told that his health began to decline, about three or four years ago. His ailment was diagnosed as ‘acid imbalance’. That reduced his appetite, and so he became physically weak. However, his intellect was as strong and sharp as ever. He had taken a solemn promise from Nripendra that he would not be taken to a hospital, regardless of the medical condition. The general said, that the loss of strength was a message from the Lord to reduce his physical activity. Consequently, his meditation and yoga routines were reduced and made less rigorous. He also restricted the number of visitors who were permitted to meet him. Progressively, Gen Hanut passed on his spiritual legacy to Nripendra, who has vowed to continue the work of the saint-soldier. In the cosmic scheme of things, his food intake had reduced to a negligible level by about the 8th of April 2015. At this point, this true Yogi requested that he be assisted in attaining the ‘Dhyan’ posture. He then began his final prayer in the form of reciting a single mantra, or ‘jap’ as they say. He was in this very posture and stance, when he left his mortal self. I have heard from some people, that General Hanut flouted office working hours. However, no one has been able to recollect any pending work on his table. The reason is simple: he did not waste time in idle prattle, and was at least three times as fast as his peers in taking decisions and expressing himself. In three hours, he was able to do more ‘work’ than what most others did in ten hours. Some say that he was not ‘available’ when needed. I think he was with us, wherever we went. His physical presence in the office was less important than the assurance that he would support our actions; always and every time. Finally, some say that he broke norms and military customs. He permitted ill dressed ascetics (sadhus) to enter an officers’ mess. Indeed, he was indiscreet at times, but it must also be remembered that, in addition to a few social customs, he had also broken the back of the enemy armour in 1971! Some of us sense him around ourselves, even now; when his mortal remains have already been consigned to flames. Like Jesus was ‘seen’ by his disciples on the Easter, and beyond. We believe that General Hanut has just proceeded on a voyage to explore the cosmos; and search Truth. His words and deeds are, and shall always be with us, to guide our destiny, now and forever. I am not lucky enough to got opportunity to see Gr8 saint soldier but i have gone through this web site along with other information available on the internet, conclude that i don’t have Words and thoughts to describe\imagine such a gr8 Man. salute to person who lives life on his term and service to nation with utmost honesty and most ethical way,it could have been possible. Salute to nice and always respectable soul of mother india. I have always found your blogs/emails interesting and full of information. Last December I was invited to talk to the IDBI Capital on “Leadership”. I quoted from your mail on late revered Gen. Hanut Singh. Coming to your this mail, “On the Other Side of Radcliffe Line”. You would be aware that in all Abrahamic religions ie, Judaism, Christianity and Islam, the belief is that on the day of judgment that religon with largest number of adherents will be given entry into Paradise. Correct me if I am wrong. No wonder this simple soul is making his ‘small’ contribution to the effort. A rather belated but nevertheless a sincere Happy New year. Thanks for fwd the link. The tribute you have written is in your trademark lucid style. Read all the comments avidly. Thank you for writing an outstanding piece on Gen Hanut Singh jee. Though I was not fortunate enough to meet him, but your writing has brought him to life for me. To the extent that I feel as if I had known him personally. A “tall” military leader who inspired confidence amongst the professionals and fear amongst the others! The General was a colossus who stood way higher than his peers. His contributions are numerous and bespeak of a sincere, motivated and professional soldier. I have had a few rather close interactions with him, particularly when he was a Gen. They do bear recounting, if only to place them on record. But, I may do so another day. Today, I pray to God that his noble soul Rests in Peace. I had been associated with him as GOC 1 Armd Div when he was GOC 2 Corps. I had often tried to convince him to put down his military thoughts and philosophies on paper as a book, so that they would be available to posterity. I failed of course. Rest in Peace, Gen Hanut, “Beau Ideal” to many outside the Poona Horse as well. One of India’s finest battle-renowned military leaders and an icon to lakhs in the Indian Army, Lt Gen Hanut Singh passed away on April 10, 2015 at his ‘ashram’ in Dehradun at the age of 82. Gen Hanut — affectionately “Hunty” to some — now rests in a soldier’s Valhalla having served his nation, the Indian Army, and the love and pride of his life —his regiment, The Poona Horse — with uncommon distinction and an unflagging commitment. Gen Hanut was truly a saint soldier who inspired admiration, awe and an abiding respect from all those who came in contact with him. He epitomized old world values of a sterling character, uncompromising personal and professional integrity, untiring dedication to his responsibilities whilst displaying military professionalism rarely witnessed in recent years. Born on July 6, 1933 to a noble lineage of the redoubtable Jasol Rathore Rajputs from the Barmer district in Rajasthan, Hanut’s father, Col Arjun Singh was himself a well-known soldier of his times, having served in The Jodhpur Lancers and then had commanded the famous Kachawa Horse in the pre-Partition era. Thus Hanut inherited a love of horses, equine sports and the dash of the cavalry in the battlefield. Importantly, the Jasol Rajputs, having existed down the centuries – –rather independently in their remote and harsh desert habitat—- were known for their fiercely proud and individualistic nature, and Hanut was to display the same traits all throughout his stormy career in the Indian Army. Young Hanut did his early education at Col Brown’s School in Dehradun —- a town which was destined to become, many years later, his final resting place. Joining the 1st JSW (Joint Services Wing) Course at Dehradun was just the natural outcome. Subsequently after completing his training at the Indian Military Academy (IMA), Hanut was commissioned in December 1952 alongwith his course mates —- some who rose to the pinnacle in their services like Admiral Ramdas in the Indian Navy, Gen Rodrigues in the Army and Air Chief Marshal N.C. Suri in the Indian Air Force. Right throughout his training days, Hanut displayed his strength of unblemished character, high standards in professional performance though he remained essentially a loner, happy with his books and pursuing his passion for reading military history, especially biographies of the great captains of war. Hanut was an ardent admirer of the German General Staff, who he often stated were the best of their kind in matters professional. Hanut was commissioned into 17 Horse, popularly known as The Poona Horse, one of the last regiments to be Indianised. Right from his days as a young subaltern till he commanded The Poona Horse, Hanut worked zealously not only to better his own professional prowess but in bringing up his regiment’s technical and tactical standards. With The Poona Horse being later equipped with the formidable British Centurion tanks, Hanut was sent to UK for conversion training. On his return, he was posted as a Gunnery Instructor at the Armoured Corps Centre and School, Ahmednagar. Here, Hanut did yeoman service in formalizing various gunnery practices and training formats which were to prove indispensable to coming generations of officers and men from the Centurion-equipped regiments of the Indian Armoured Corps. Later as an instructor in tactics at the same school, Hanut was instrumental in evolving and writing down tactical doctrine and instructions for the employment of armour in various operations of war in the Indian context. He often stated that the Germans were the only ones in the world who fully comprehended the nuances of mobile warfare in its classical sense. His expositions in handling of armoured forces were a rare treat to listen to. One of the glorious facets in his soldierly career which will always be recalled was his command of his regiment in the 1971 operations in the Shakargarh Bulge. In the famous Battle of Basantar, Pakistan’s 8 Armoured Brigade strongly supported by the Pakistani Air Force fiercely counter-attacked The Poona Horse, which had crossed into Pakistan as part of India’s 1 Corps offensive and had made some territorial gains. Inspired by Hanut’s leadership, in a single day’s battle The Poona Horse fought like lions and destroyed 50 enemy tanks, losing 13 of its own. Two of Pakistan’s battle renowned regiments, 13 Lancers and 31 Cavalry were virtually decimated. Hanut’s levels of military intellect often found him crossing swords (professionally speaking) with his senior officers. Whilst he was commanding 1 Armoured Division and later 2 Corps, he would often disagree with the employment of armour and his strike elements. But it must be stated that despite Hanut’s fierce streak of individuality, most of his senior officers finally would end up agreeing to Hanut’s operational plans and concepts of employment of his strike forces. There were some senior officers who felt that Hanut was far too much of an individualistic and did endeavour to sideline him. However, two of India’s top generals — Gen Sundarji (later COAS) and Lt Gen Inder Gill, Western Army Commander, despite serious professional differences with Hanut, greatly appreciated the latter’s vision and professional mastery. Hanut had no time for sycophancy, socializing, or the misuse of regimental or official funds for hosting parties and the like. He generally detested the political class and this aspect of his nearly got him into trouble while he was commanding the Sikkim Division. Hanut refused to attend any civil functions where the Army was not directly involved. Reportedly, then governor A.S. Talyarkhan did his level best to have Hanut removed but then army chief, Gen Krishna Rao prevailed upon then prime minister Indira Gandhi to overlook Hanut’s non-conformist actions ! As is also well-known, even the formidable Indira Gandhi respected the professional advice to her of Gen K.V. Krishna Rao. Hanut’s concern for the genuine welfare of his men is oft-quoted. He forbade any ‘working parties’ on Sundays and holidays and would often visit the lines and ‘langars’ of the men to see, first hand, the living accommodation and the food being served to his men. He would pull up any erring officer on this score. His spartan and ascetic nature soon rubbed off on many officers in his command. Hanut was a deeply religious man and, perhaps, his own moral values were shaped by his deep spirituality. Each evening, Hanut would lapse into ‘dhyan’ (meditation) and no worldly affair or telephone calls could ever disturb his communion with the Almighty. He was thus also, sometimes called ”eccentric” by some of his colleagues. Unbothered about any cynicism expressed about him, Hanut believed in his own concept of the soldier’s dharma which he often stated softly was that it was ‘righteous living’. He constantly craved for silence and solitude which he ultimately found in his ashram at Dehradun. Nearly 14 years back, I met him there and did joke with him that outside his meditation room was fluttering proudly, a small pennant of The Poona Horse — that displayed his abiding love for his regiment, while he remarked that the regimental pennant was his “only link with the outside world”. Lt Gen Hanut finally merged with the Eternal on April 10, 2015, unsurprisingly, while in ‘dhyan’. He was cremated on the banks of the holy Ganga in Haridwar on April 13. This country does not know how to honour its real heroes. Anyway, Hanut requires no recognition from mortals for he was above all worldly and material cravings. A true saint- soldier who epitomized the ‘karma’ as enshrined in the Bhagvad Gita, Hanut’s moral code and legacy will be fondly recalled by generations of soldiers to come. (By Lt Gen Kamal Davar is a veteran Armoured Corps officer and now a security analyst. Words and thoughts fall short for Man, who I knew as great Saint soldier. I met him once in his meditation ashram in Bala (near Jodhpur) and had brief discussion on spiritual details … The Army side of him was unknown until I started reading more and more, mostly the account of officers. I feel privilged to read well naratted account of his, real inspiration for young minds and no wonders very well documented. 1. Please allow me to share your memories with Gen Hanut and some other responses I have received. 2. I earnestly request you, when you write your memoirs, please include your interactions with the General at various levels including MO Dte, 17 Mtn Div and others. The generation next will be richly benefited. The professional discussions on employment of Mech Forces between him and Gens Inder Gill and Sundarjee are legendary. We will be eagerly looking forward to those. 3. Though it may not be a correct time I want to draw your attention to a larger issue. We tend to put larger than life personalities like him in a pedestal where they cannot do any wrong. After all these character traits make them more interesting and human. 4. Let me give some examples. Everybody talks about his final word at the end of an animated discussion with the Chief and Army Commander, well as long as I remain the GOC of 2 Corps this is the way 2 Corps will fight the battle. Fair enough. But it is Army. Don’t you think in the same token Army Cdr also can say this is the way the Command will go to war or the Armd Div commander can say this is my way of joining the battle. As Einstein says genius lies in breaking down complex issues to simple terms for everybody to understand. Hanut was outstanding in making people understand tactical issues. But at the strategic level things are complex, lot of fuzziness, grey have to be factored into. Don’t you think he was too simplistic in tackling larger issues. When Hanut was commanding 17 Mountain Division, the Corps Commander, a Signals Officer (They are extinct for a long time), came to visit him, Helipad is near MH/ Supply Depot, Div HQ is on the other side of Gangtok. When the Corps Commander landed at the helipad Black Cat Div GOC was not there to receive him. The Corps Commander made it mandatory to attend monthly Dinner Nights at Sukhna for the GOCs! Hanut was superseded for Army Cdr. He was Comdt Armd Corps School and Center. Lt Gen BC Joshi, another Cavalryman and junior to him became Southern Army Commander. Army Cdr had to inspect the Cat A est. When he landed there was nobody . Gen Joshi flew back. He rang up Chief, Gen Rodrigues, a coursemate of Gen Hanut. He must have persuaded Gen Hanut so that when Gen Joshi went next time there was proper reception arrangement. Hanut did not resign when he was not made Army Commander. He did put up a Statutory Complaint which was rejected. 5. The above may kindly not be misunderstood. I have the highest regard for a man like him. They don’t make people like him any more. History of the Poona Horse, 1817-1971; includes reminiscences of officers of the Indian Army. 7. Lastly I am reproducing below a tribute paid to the departed Guru, the Soldier Saint by Lt Gen Kamal Davar. In April this year, Lt. General Hanut Singh ascended to the heavens. And since then, my mail box – like that of so many others in the serving and retired military fraternity – has been flooded with emails about the man, who had acquired a legendary standing in the Indian army. I cannot recall any General, other than Field Marshall Sam Manekshaw, who received the kind of adulation and respect that General Hanut has received. Many in the younger generation of officers may not have even heard of him. But for those who knew him, he was truly a man apart. A professional to the core, and an officer who feared neither his enemies nor his superiors; he simply had no equal in the army. He received fierce loyalty from those who served under him, specially so for his magical feel for military operations and the battlefield, but was scorned and reviled by lesser, even near incompetent cohort of big-talking cavalry generals, whom he chose to ignore. 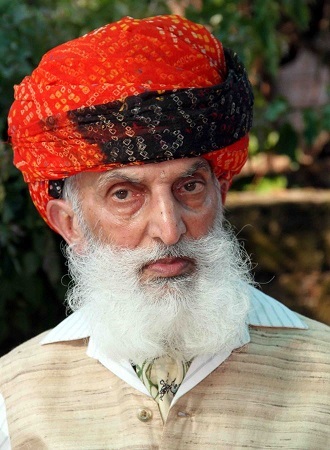 Lt. Gen. Hanut Singh is perhaps the first officer, in independent India, to live and eventually die like a sanyasi. He passed away, while he sat erect in meditative dhyan, and was cremated in that position too! Amongst today’s generation of officers he is perhaps less known because the likes of him aren’t encouraged in an army where few are allowed to stand up for their professional and personal beliefs; but instead are required to say and do all the right things to rise up the professional ladder. Those who admired him were unable to emulate him and therefore Hanut Singh’s conduct and style of command will remain an enigma. And for those of us who knew about the General and served during his time, he clearly stood apart. Tall and lean with piercing eyes and an impressive moustache, Hanut Singh came from Jasol, near Jodhpur in Rajasthan, from a family of Cavalry Officers. A product of Colonel Brown’s school, JSW and IMA, he chose to join the Poona Horse, and eventually became its most iconic officer. From his youngest days he was totally committed to life in the Army and at some stage took to meditation for long hours every day. He spent, from what we know, very little time if at all, in frivolous activities that was part of peace time soldiering in the army. Instead, when not undertaking professional and regimental duties, he would either immerse himself in reading books on matters military or pray and meditate to enhance his spiritual quotient. His professional skills ensured his steady rise in rank, and his moral standing inspired all. But, perhaps his most memorable professional moment came during the1971 war, when he was in command of the Poona Horse during the battle of Basantar. In so many ways, he had prepared himself and his Regiment, for this moment, all his life. As the battle began and Hanut apparently became irritated by the constant needling by his brigade commander, and so shut off radio communication with him, to concentrate on the battle in front. At some stage thereafter, the leading tanks of Poona Horse, hit a mine field (in one of which was, 2/Lt Arun Khetrapal, who eventually earned the PVC). Legend has it that, having received the contact report of the action being taken by his leading tanks, Lt.Col Hanut Singh apparently ordered on the radio set of his Regimental net, that there would be no transmissions until he would revert with instructions. As the battle ensued, Hanut Singh apparently meditated in his tank to seek Divine intervention. Some 10-15 minutes later, he came back on the radio net and announced that all his tanks should follow him – by looking out for the blinkers at the rear of his tank- as he lead the way through the minefield. It is said, Hanut Singh and his Regiment went through the minefield, without any casualties. Once on the other side they engaged in battle with Pakistani tanks, and in the words of one historian, he “demoralized and then demolished the opposition”. Poona Horse was bestowed the title of ‘Fakr-e-Hind’ from its Pakistani opponents, and Lt.Col Hanut Singh, the Mahavir Chakra. But there is a story to his MVC, as well. True to his style, he first refused the award, and only relented to accept his MVC, when the army’s brass hats pleaded that he accept his MVC, since his brigade commander – who wasn’t quite in the thick of action – had managed to get a bar to his MVC in the 1971 war. In fact, amongst those who know, this same brigadier, had also claimed credit for his role his role in the Battle of Chakra, that was purely an infantry operation. In reality, he and his tanks reached the site after Chakra had been captured! 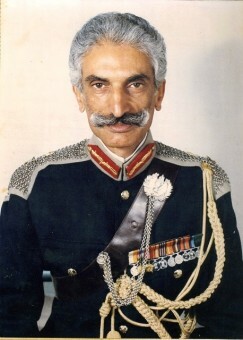 But unlike him, Hanut Singh refused to wear his MVC – apparently even his official portrait at Ahmadnagar, doesn’t have the MVC on his chest – and when asked by a Chief in one his postings at Army headquarters ( at MO Directorate), why he wasn’t wearing his MVC, he apparently replied: “ since there are many contestable MVCs around, I prefer not to wear mine, Sir’. 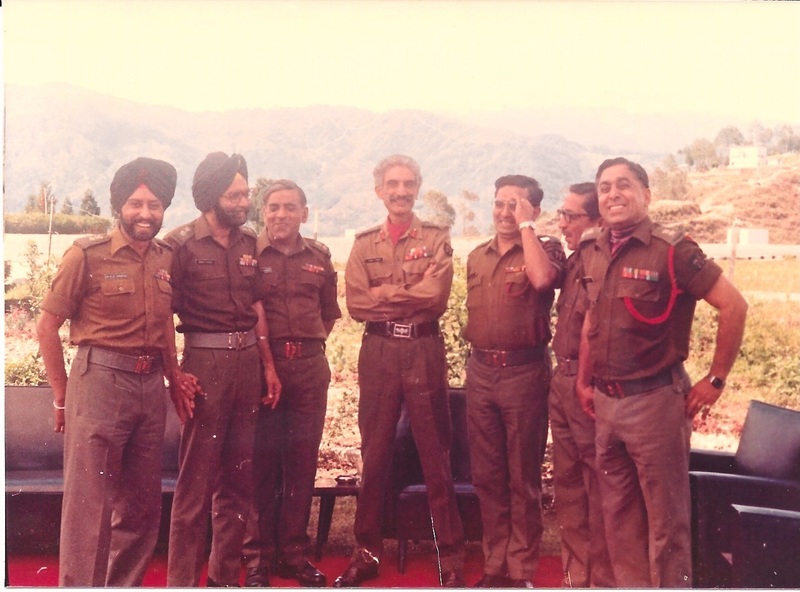 My exposure to the legend of Hanut Singh happened by chance, in the autumn of 1984, when I had the opportunity to visit the Officer’s mess of the Poona Horse, (with my good friend and his nephew, then Capt. Shambhoo Deora of 10 Para). As I was looking around with curiosity at their large collection that told of this Regiment’s glorious past, I chanced upon a momento that Hanut Singh had left for the Regiment. And three decades later, I can still recall that it was a hand rising above a flame, and inscribed below it were these words: “This hand symbolizes for me as the hand of Brahama in the Abhyam Mudra, reminding Poona Horsemen of his eternal promise, that when I am there besides you, then what is there to fear.” Below that were the words, “presented by Lt Col. Hanut Singh on relinquishing command, 1973”. (This is written from purely from my memory so I may be forgiven by Poona Horsemen for transcribing). But as that memento and what was inscribed on it, had a huge impact on me, I began to inquire about the ‘legend that was Hanut Singh’. As luck would have it, a few days later, I had my first interaction with Lt. General Hanut Singh at the Pokhran field firing ranges ahead of Jodhpur, when I was at short notice, asked to guide him – as he drove down from the Pokhran helipad – to witness the field firing of my brigade. Having heard so much about the man, I was very keen to see him in person, as I stood on that narrow and desolate road with wide stretches of desert sand all around under a kikar tree ! Soon at a distance I saw one solitary Jonga approaching me, with a flag and a star plate. As the Jonga neared I waived it to a stop, and smartly saluted the general, then GoC 2 Corps. I then requested him to follow me, which he did, apparently with a smile. But being a master at tank gunnery, he wasn’t happy with what he saw. And hours later when he left the range, he had left many military reputations shattered. General Hanut rose in rank even though he abhorred the culture of sycophancy that had taken roots in the Indian Army. He commanded all the key mechanised formations – 14 (Indep) Armoured Brigade, 1 Armoured Div, and 2 Corps – though he was denied the command of an army (and perhaps even the chance to be chief). Instead he was appointed Commandant of the Armoured Corps School (ACC&S), at Ahmednagar. Here he devoted his professional skills in shaping the doctrines that continue to hold relevance for tank warfare for the Indian army, even now. And it was at Ahmednagar, in 1990, that I finally had the occasion to get to know the General – perhaps India’s greatest tank commander – a little more, at a brief stint I had at the MIRC. [12:54, 29/04/2015] ‪+91 90960 02266‬: CCS. Taken aback, I asked what were we going in there for, and I was told, that dinner was to be there. Clearly I hadn’t quite prepared myself for this surprise. What was even more surprising for me, was to see General Hanut sitting in an all white attire – long kurta and a dhoti – with a string of beads around his neck, and a white shawl on his shoulders, looking every bit a sanyasi that he was, when not in uniform. Behind him was a large oil painting of a cavalry charge. I was introduced to the General, and was informed that I was soon heading to London for higher studies. The General then asked “why to England, Raza?” To this question, I replied that I had always wanted to study in England and now having completed the JC course, I had the time before the next mandatory course (perhaps the SC course), that I would have to possibly attend. And then, I just went on to add, that: “I want to equip myself with qualifications that could assist me to find a job once I would be sacked from the army”. This caught everyone by surprise. But General Hanut just smiled and asked, “…and why would you be sacked Raza?”. To which I responded as a matter of fact, that, “as I was increasingly finding it difficult to respect many of the senior officers under whom I was being asked to serve, I knew I would soon be shown the door by the army.” The left everyone in the room stunned. A short silence followed. But then General Hanut smiled and said to me “I like you Raza. At least somebody speaks the truth”. From then on, I was in my elements. We began to talk about books, as dinner was being laid, and somehow the conversation shifted to David Niven’s “The Moon’s a Baloon”. I think I was reading it those days. And to my surprise, the General had read it too, and he even quoted some amusing parts from it, like the one about Niven’s senior subaltern and the ‘dipsomaniacs delight’. And when I went off to England, the General and I used to exchange handwritten letters for a while. Among other things, he was a wild life enthusiast. 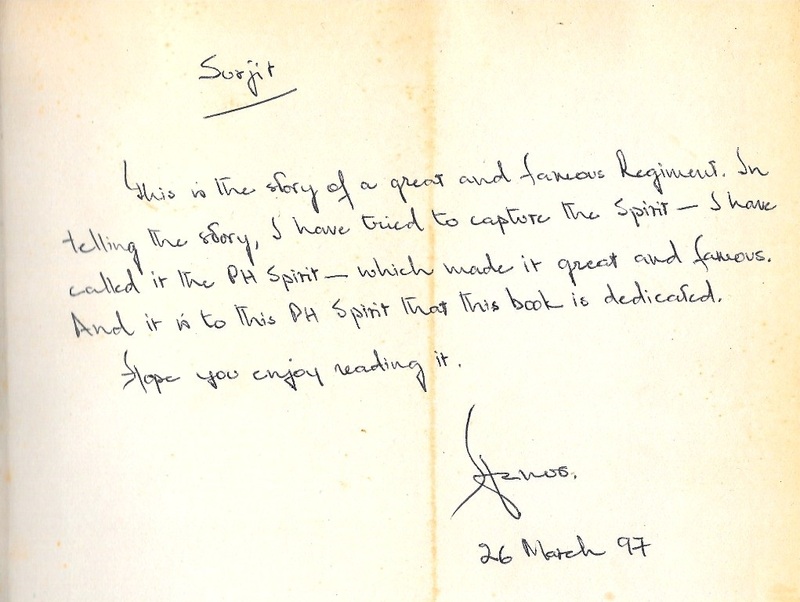 And at his request, I had sent him a documentary on the Indian tiger by Arjun Singh. This was delivered to the Delhi home of Mr Jaswant Singh, his cousin, and an equally iconic figure, a soldier, scholar and an eminent politician. I lost touch with the General after he retired to his cottage near Dehradun, and to a life of a hermit. 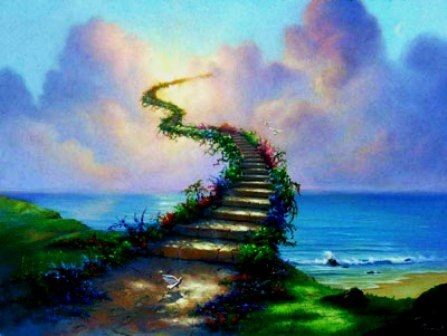 It was here that he lived most of his final years, a life of prayer and piety, till his last day. In his passing away, I salute him and his memory. didn’t have the gumption to over-rule the army brass arrayed against Hanut’s deserved elevation to army command and later, perhaps, even COAS, fearful that his cleaning of the Service’s Augean stables that would inevitably have followed, would have shown up the rot that had set in in the Indian Army, and would otherwise set a bad precedent! The last time I met Hanut was in 1994 when, as adviser, defence expenditure, (10th) Finance Commission, India,chaired by Pant, I visited IAF’s South-Western Air Cmd HQrs then at Jodhpur, and took the time one evening to visit the General at his ashram he had built some ways outside the city. We talked about the state of the army and, even more animatedly, again about armrd warfare history. I recalled for him the haunting statement he had left me with from the Ahmednagar episode: “There’s no armrd commander in the army”, he had declared, “who can visualize a battlefield beyond the regimental level” [which statement I used in my 2002 (revised edition in 2005) tome — Nuclear Weapons and Indian Security, to argue, among other things, that the impressive wherewithal notwithstanding, the three Indian Strike Corps and pivot corps couldn’t successfully prosecute Cold Start]. He gently guided me away from that topic but his assessment has left me wondering about what will happen in a straight-out armrd war on the western front. The General attained samadhi in Haridwar, going the way he wanted to. His missed army command and perhaps subsequent COAS-ship, will however remain the great what ifs in the army’s and the Indian military’s history. Great having known you, General Sahib, and a final, most respectful, salaam. RIP. After listening to you and reading your articles, Nothing you write is ever uninteresting. PH was a overrated unit and the officers were so blinded by Regt spirit that they failed to see the shortcomings. The unit claims that Fakhr e hind was used to describe the unit after the 71 Ops ” Battle of Basanter ” by a Pakistani officer of the Regt that was opposite PH in the battle ( I suspect it also may have been from the erstwhile muslim sqn that went over to Pakistan during partition). But history records the PH never broke out of the Basantar Bridgehead till the end ( 16 Dec 71) I will try and dig out the proof though. I am in Bangalore and work for TCS. Life is good Sir, do come down to Bangalore sometime. A great tribute to a great soldier saint a like of him may not be seen in centuries to come. Your narration is perfect and fits the persona of this legend called GEN HANUT SINGH. Sir, I am immensely pleased to read the description which is not only inspiring but it is touching as well. Thank you for documenting a master piece. 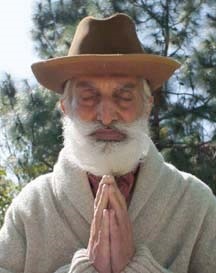 General Hanut Singh was a great SANT SEPAHI in true sense. He was a totally dedicated soldier who was a thorough proffessional.For him soldiering & praying to Almighty was a way of life which I feel all of us can emulate He was so involved in his duties as an officer that performance of his daily duties did not take his day till late after lunch.In Indian Army staying late in the office shows dedication to duties & he thought other way around.His involvement was 100% as a sequel to that he took decisions in quick time made no pretense of working late. He remembered his master with total devotion & utilised his time in serving his Lord & master. He left as a total FAKIR & went into SAMADHI . We need a few more senior officers like him in Indian Army . I pray he has joined his Master in Swarg . I had heard a lot about Gen Hanut,but unfortunately never had the opportunity to serve under him.I served in the Bn which was part of 1 Armd Bde and Poona Horse was also part of it.I especially went to pay my regards to him when he was commanding ” Strike Corps”.Sad to learn about his passing away and pray to Almighty to grant peace to the departed soul.He was a great man and a great soldier. Sir, It was a treat reading this piece.I had heard Generals name in many a discussions but never got to know him.Very beautifully crafted piece- a tribute for a man like him. (a) Infantry- The least spectacular Arm! But! Without it NO Cdr can achieve anything: Field Marshall Montgomery. (b) To be posted as a Trg Centre Comdt literally, in most cases means; Dear Boy! End of the Road! I, an Infantry Soldier had a ring side view of Ex- Brass Tacks and Op Trident during 1986-87. The entire 1&2 Corps were massed in the Desserts of Rajasthan uncomfortably close to the borders!. Lt Gen Nanda (Inf!) was the GOC 2Corps. The 1st couple of weeks of the Ex consisted of Inf Troops of All Rks conducting approach march of 30-40KMs through the ni, every ni, between Nagore & Bikaner, reduce Strong Pts and invest Nodal Pts! And the Cdrs! Almost the entire lot of them from Infantry! There comes Lt Gen Hanut Singh from Armd Corps on posting as GOC 2Corps!. By a quirk of fate I happened to be at the 2Corps Fd HQ accompanying my Bde Cdr during Gen Hanut’s very 1st Op Briefing. Maj Gen R P Singh GOC 36 Div (Inf) was doing the Op Briefing. Within a few min Gen Hanut lifted his palm, halted the briefing and said;” I don’t think Infantry can do an approach March of 40KM- that too through the ni and yet be fresh enough to mount the assault. They must be piggy backed”. The Ex was instantly halted for 48Hrs, Civ Hired Transports (CHTs) were hired in droves and next 4 Months was spent in meaningful Trg! That! Our Man! Gen Hanut! Now! The FARCE! Almost Every Cdr, from Bde Cdr up, who took part in this all important EX & OP, made it to higher ranks- Lt Gen SK Pillai(RIP), Lt Gen Mahajan, Lt Gen JS Dhillon to name just a countable few. Gen Hanut was shunted out as Armd Corps Centre Commdt! Why! Lt Gen VN Sharma the then Commdt of College Of Combat who was the Chief Umpire ( And who was to be the future Chief) couldn’t stand the sight of our hero! Thats Why! My humble prayers go with you, beloved General! Isn’t it ironic? I send my child to school, where he/she spends more time with the teacher than he does at home with the parents. He/She virtually molds my child’s character and growth. But when it comes to wages or respect the teacher does not come into the reckoning. So also, the Training Center Comdt and staff. They should be the best for they are molding the future. Mercifully Gen Hanut was made of sterner stuff, a 24 carat Karma Yogi, it mattered not to him where he was placed. If only we had more like him – a warrior saint. It is strange that way back in Nov 1967 after Gen JFR Jacob took over as the GOC of 12 Inf Div, he changed the whole concept of Infantry marching to their objective. During Jan 68 he held an Exercise in the Pokharan area with an encounter battle between two of its brigades, both of them mobile. Lt Col (later Maj Gen) Trevor Morlin of the leading battalion did a fantastic job of reaching the objective 53 kms in 2 hrs 15 mins. My Fd Coy suported his Bde. His Bn went in so fast that the ‘enemy’ and umpires (from the third Bde) were taken by surprise as they were still not in their positions. In his closing talk Gen Jacob clearly stated that a desert is like the sea with no fixed sea lanes (roads) that you use to approach your target. However he played merry hell into Col Morlin for being too ‘smart’ because the first part of the exercise failed due of faulty assumptions on time and space exposed by Trevor. I am surprised that this doctrine died out and Gen Hanut was punished for bringing it back 20 years later. He was one fine General! May his soul RIP!!! I wish to thank you for writing such an immaculate piece on the ‘Saint & Soldier’ Gen Hanut Singh. We were lucky that we got placed by the almighty to work for/under him. It is unfortunate that many others have never got an opportunity to know him even from a distance. But one thing is certain, that whoever got to know him, was blessed; such was his influence on those who met him, for he was a greater and truer son of God than all those masquerading on the media. He was a symbol of peace, compassion, harmony and tranquility, inspite of his chosen path the ‘Fauj’. I am not sure if anyone can ever imbibe all his sterling qualities, but if more is written about him, it is possible that some may attempt to tread his path, and that would be a great contribution to his effort in this mortal world. Personally I would like to thank you for Sir, for being so kind to us and describing so vividly our association with him in Gangtok. It couldn’t be more accurate, full marks for your sharp memory; you seem to remember every detail amazingly.It seems we from the Fifth Brigade were all lucky and blessed. With a prayer in our hearts, we now wish him being well looked after by the creator. Yes. We are blessed, in two ways: one that we had an opportunity to serve under such a towering personality. He was a giant, both as a soldier and a human being. We were also lucky that so early in life, we had understood that one must complement and not compete with our equals. In many places, I have seen officers wasting their time and energy writing letters and blaming peers. Your humility is admirable. And the Lord gave you the best possible soul-mate! You look good too, in the photograph. I never served with the Gen. But I served alongside the unit (PH) in the same bde during Parakram. Frankly between you and me…. (the unit is) a bit overrated. Just as we human beings have our ups and downs, units also go through such peaks and troughs. In case of PH, they have a very illustrious past, before as well as after the Indian Independence. The other regiments would naturally feel envious of their record. Your observation may be right. However, let us hope that if they are tested in a war again, they will rise to the occasion, and do us proud! A DEVOUT TRIBUTE to a Real Tapasvi Saint- Soldier on this special Prayer day.May GOD bless his soul and merge into ETERNITY. Since this blog is being monitored by the well wishers of the Late Gen Hanut Singhji, I am sure your prayer will reach him. The timing is most appropriate. The ‘prayer meeting’ is scheduled for this evening. Gen Hanut aroused strong passions. Sometimes, people with whom he disagreed professionally were very angry with him. Some did not like his recluse lifestyle. He was, indeed a maverick in some respects. Perhaps the most striking part of his personality was that he NEVER spoke about himself. And that is most unlike our veterans, specially senior officers. This morning , I got a surprise E Mail from Gen Rajagopal forwarding your blog on Late Gen Hanut Singh. He found in that blog a mention about my ACR being reviewed by the then GOC. Took this opportunity to connect with you – may be after a long gap! How are you both doing and where are the children settled down?. I went through the blog with lot of interest. I now look forward to a piece from you, with a lot of pictures. Does Jaya still perform Yoga? She was very good at it. I disagree with your dictum, there are many who are different. In fact the army is perhaps the only organisation where you may differ with your superior & change his line of thinking [of course with reasons] . However many fall by the wayside for dsiagreeing while many rise by LICKING as you put it. 1. The first thing the new GOC does is to attend operational plan presentations by the General Staff of the HQ. Here Gen HANUT made a change , he asked to study the operational tasks of the formation before attending the presentations. Thus sliding map boards were prepared for all areas south of Jammu to the command boundary with Southern command. On entering the OP’S room I as COL GS [OPS] & custodian of top secret documents handed over a brief case containing files marked FOR GOC 2 CORPS ONLY along with the key of the case. On perusing the first file he said I am in a hurry so the COL GS may indicate the corps objective / Task in –sector. To this I replied I am sorry sir but I don’t know. He then gave a smile & continued with the perusal of the files all alone in the ops room. He had tested me. 2. PRELUDE TO EXERCISE “BRASS TACKS”. SEPTEMBER 1986 onwards many SAND MODEL exercises, discussions , Presentations ,command & control measures were discussed. [a] CORPS Sand Model Exercises. During the sand model exercises the Gen staff & formation commanders were asked to prepare plans & present them to GOC LT GEN HANUT SINGH. After listening to all he would give the final plan which would be something that none had thought of. That was the depth of his minute study & analysis. This happened repeatedly & soon some commanders started thinking out of the box. He went into meticulous details of comd & control that Aerial comd post in a HEPTR was developed as also a APC comd post wich catered for all types of radio commns. [C] PRIOR TO- EX BRASS TACKS. Soon the 2 CORPS , its formations, enemy formations had to move to area North & South of Bikaner which was a mammoth task from the adm side. True to his meticulous planning Recce parties from the formations were sent out months in advance. The engineers were tasked in particular to locate water sources & their capacity as these would have a bearing on locating fmns. As for the Corps HQ location, I was tasked to carry out the recce in gen area Bikaner. Having done a map recce, Heptr recce of the areas shortlisted followed by ground recce I found a helipad near which was a canal rest house a few km North of Bikaner. This became the location of the Corps HQ , the rest house the residence for the GOC . The rest fanned out ,with the canal a excellent water point for all purposes. [d] The GOC true to his style & eye for detail carried out aerial recce of an area 250 km x 250 km to study the ground followed by map recce, he kept his conclusions to himself. Soon EX with troops for the formation were carried out & as always gave a plan which was very original. He tested the aerial CP & APC CP & found them very satisfying. The signals & EME had done a fine job. [D] EX BRASS TACKS. The Corps HQ & formations moved to their locs for the ex. Soon the ex was upon us, orders given [Again very original] & advance begun . The routine followed by GEN HANUT would be briefing by me at 0700 hrs, all day with the formations in the HEPTR CP ,land just before last light , a briefing again by me, followed by his dictating the orders he had given during the day & retiring for the night. AN INCIDENT STANDS OUT IN MY MEMORY – It was a discussion with the ARMY COMMANDER in the presence of the COAS & defense minister. The ARMY commander gave certain tasks to Gen H anut & Hanut responded by saying words to the effect that this task can not be done & gave reasons, there was complete silence for a few minutes then Gen Hanut said ,IT CAN BE DONE IF—–. Much to the relief of the COAS & Army commander all his conditions were agreed to. Such was the man. The comparison with Guderian is most appropriate. An inspiring article…..great tribute to a great personality !! Could you please update us on the family news? Where is Raje? And how is Rita? I’m not much of a reader of “Matters Military”. I happen to chance upon your write up on Gen Hanut. WONDERFUL TRIBUTE TO A SOLDIER AND A SAINT. I wish I had known him. By the way I don’t think we have ever met and neither am I an EME or Armoured Corps officer. But good article is good article and thank you for writing it. Are you the officer who is busy with the retired defence officers association? I knew him very well! We did the ‘ndc’ course together and Surjit, who has written about Hanut, is an EME offr, whom you also may remember. I first met him only during the ndc course, but we became great friends! He was a brilliant soldier, but most unlike a normal General! He was a bachelor, teetotaler and a vegetarian! He never attended ‘social’ functions and was specially exempted in view of his strong convictions. But he never prevented others from following what they liked to do. I was in touch with him even when I was DGEME and he used to visit our neighbour Mr.Jaswant Singh in 16, Teen Murthi Lane! Hanut was a Corps Comdr then. After my retirement I had not met him or remained in touch with him! I am indeed sad to know that he has passed away! But to me, he is one of those ‘self-realised’ persons, described in Vedanta, who has no re-birth! I am Ccing this to Surjit complimenting him for the excellent eulogy on Hanut. Your note has come in at a most appropriate time. In fact some of us were keen to hear from some one who had attended the NDC course with Gen Hanut Singh to find out as to how he ‘managed’ the enormous social activity on the course. I think it was magnanimous on part of the Commandant of the National Defence College to have accommodated his tryst with the Lord! I am in complete agreement with you on the ‘Moksha’ attained by Gen Hanut. I think he has merged with the Creator! Tonight, they are organizing the prayer meeting for the benefit of his soul in Dehradun. I am sanguine that, in spirit, we shall all be there. PS: We can but Salute the departed Soul,who would surely have carved a place in the ‘Gallary of Shadows’ or whereever the Lord God holds the Role of Honour for ‘The Souls Resting in Peace’! You are right, as always! Very well written piece on Lt Gen Hanut Singh indeed.You had very close association with him and have explained many aspects about Hanut which most would not have known. I would like to clarify that most of the content in 1st JSW Course website is from the Souvenir published on the occasion of the passing out of the 1st Course. It was prepared by some JSW instructors and course mates (The Editorial Team) . What is written about Gen Hanut is by the Editorial Team, not me. Kindly do clarify this. Best wishes. I have inserted your message in the blog, and also amended the piece, clarifying the fact that the pen-pictures were published in a souvenir issued by the staff of JSW. In fact, I was wondering how any single officer could write the precise character sketch of nearly 190 cadets. I felt that it was done by a team, under your guidance. Why did the JSW ( and later the NDA) not publish a similar document for the subsequent courses? It seems to be such a simple and yet appropriate thing to do! I know of some public schools who follow this practice. Be that as it may, I think we have received a fairly large number of messages for the departed soul. Many more have rung up, to convey their respects. I have dutifully passed on all mails and messages to Mr Nripendra Singh. He was unique in his capacity to remain at ease even in the most trying situations. When he was in Sikkim commanding The Black Cat Division,he was put under t tying conditions that would have broken lesser mortals. His self assured calm was something to see to believe . He ennobled every life he touched. A true Karm Yogi and a Rishi. The void created by his departure is impossible to fill. Yes. I consider myself fortunate to have been posted in Sikkim at the right time. Gen Hanut’s philosophy of ‘work’ was the exact opposite of the style adopted by some of my ‘hardworking’ friends. They used to gossip away the whole morning and get to their desk just a few minutes before lunch. They would then sit late to complete their paper work. And then, they would crib and complain that they are overworked. In the process, their office staff had to sit there through no fault of their own! I once heard a friend suggest that all those senior officers who sit late hours in the office need to be told that they are tying down their staff for no fault of theirs. It was suggested that the office staff should be given ‘overtime allowance’ and that money should be deducted from the Pay of the inefficient officers who are not able to complete their paper work in time! Most grateful to receive your mail and the Tribute to Gen Hanut. I am sharing this with all. I am keen to know more about you and your blog. Which arm are you from and what vintage? And have we ever had the pleasure of meeting? I must convey my compliments on this wonderful piece you have shared with us. Makes one love the Fauj even more. With every good wish and regard. I have had the good fortune of serving in the Industry and have also rubbed shoulders with the Academia. But nothing like our ‘Fauj’! Dear brother, I used to hear so much about gen Hanut from you, whenever we met that I felt I knew him quite well. Indeed, he was a unique character and you have written very well about him. I must tell you that you have some traits similar to him. cheers. I think you are being too kind. Gen Hanut was a doer…I am a mere spectator. He was a player; I am only a commentator! So, no comparison is possible! Gen Hanut stands tall. He was a giant amongst pygmies! Some one should record all the facets of his multi-faceted personality so that we can learn from his life and work. Thanks for sharing your experiences. It is apparent that you have restricted yourself to ‘primary evidence’ No part of the above piece is based on hearsay! Do give us a feedback. And we are sure that you will convey our condolence to Nripendra. I had the good fortune to serve under this great and extra-ordinarily gifted soldier for about eight months as his chief of staff, in the ‘Strike Corps’. I had known him as a colleague before, but never got an opportunity of working with him, directly. It was a unique experience. Being his immediate neighbour, I also got some idea of his private life. Being a bachelor, he lived with his wife, and a sister. His daily routine was very different: he spent a great deal of his time in prayer. I now regret that I did not learn his form of ‘dhyan’. These daily sessions gave him the strength to solve problems and also retain his composure in the most adverse circumstances. Gen Hanut used to come to the office at about 10 am. The few files which we put up to him were disposed off in about an hour. He took his decisions very fast, and gave clear and concise directions. He trusted all his colleagues, and yet he did not tolerate any non-sense. Socially, he was a bit of a recluse. Yet, when I insisted, he agreed to have lunch with us. And when he came, he was with us for nearly three hours. All through, he was completely relaxed, and willing to talk on every subject under the sun. His sense of humour was subtle, but he was quick to appreciate the joke. Gen Hanut rarely spoke about himself. He did not impose his views on others. He kept away from alcoholic drinks, but had no objection to others consuming liquor. I think there was a lot to learn from his leadership style. In his demise, the nation has lost a saint-soldier of great stature. This morning, I have received another message on his ‘Strike Corps’ days. This one has come from Brig Akshay Kapila. You may like to read it. Gen Rajagopal tells me that he was permitted to remain absent from the social functions even in the NDC! That speaks a lot about how much we can accommodate! I am one of the many COs who have earned an ACR from a Corps Commander without having met him. That ACR got me a vacancy for LDMC. I remember seeing him on the Ambala Golf Course not playing Golf but riding a horse in his own majestic style. He was a man apart, and few could match his intellect on operational matters.His photos in his last years are very impressive. This tribute to him is beautifully worded! Yes. He was a man apart. Different in every way. That is why he is worth talking about! His pictures are by kind courtesy his friends and admirers. He did, indeed, grow old very gracefully! Riding was his first love. And he was attached to Dehradun. He was in Col Brown’s School, and in his time, the NDA was in Dehradun. This story is written from your heart about a soldier you admired and respected. Makes a strong impression on the reader even if he never knew this man. I had heard about his exploits in 71 war. Also about Fakhre Hind bestowed on him by Pak Army. He is first cousin of Jaswant Singh who is also in ICU for a long time. Should be published for posterity. Thanks. Yes. I am told that the title was bestowed by the Pakistan Army. I have read an article published in a Pakistani journal praising the Indian armoured action in the battle of Basantar. It shows excellent spirit. Yes. I am aware of Gen Hanut’s relationship with Maj Jaswant Singh. He has been in coma for several months now. We pray for his health. Our very own Fateh Singh is in the same boat. May the Lord restore his health, too. Gen Hanut’s story should be published, and I think Nripendra is doing something about that. SORRY TO HEAR THAT ANOTHER SOLDIER LOVED BY ALL HAS GONE. Yes. One more soldier has ‘faded away’! 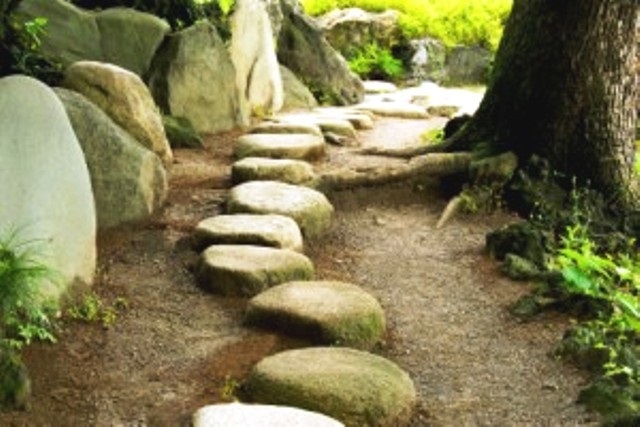 But this pious soul went at a time of his choosing and in the manner prescribed by the Vedas. While alive, he taught us how to live. While going, he showed us how to go! A very well written tribute.for a great soldier. Only good soldiers can appreciate soldiers! Can never thank you enough for this piece. I never served with Gen Hanut nor ever met him. But looking at his pictures i know how true men of theGod look like. Incidently..it is extremely well written too. This kind of writing requires more of heart qualities than the head qualities i guess. Its so rare. 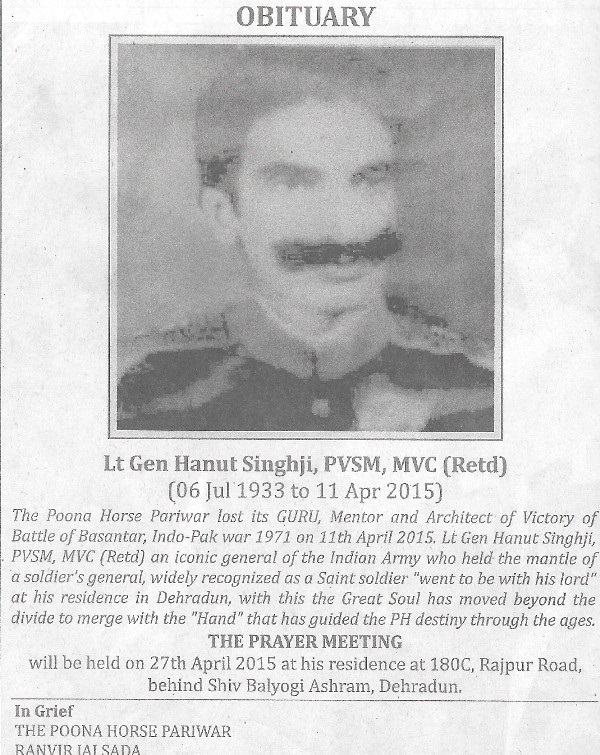 Suitably solemn and emintly well deserved-Hanut was truly a saint soldier, divinely gifted. A beautiful tribute. Your words remind me Gen Hanut’s noting; clear, precise and poignant. The Indian Army has been the most successful army in human history. The Army I know is stolid. So it came as a surprise to find that a maverick like Hanut could survive in this environment and even rise to high rank. Hanut is easily the most illustrious member of the illustrious 1st JSW course. I never had the privilege of meeting him, but do hope to see him in the next world.